For the 2018 competitive season, we’ve shaken up the tournament structure with a mix of Rivals qualifying events, weekend Ghost and Sim racing, and Booster Rivals that will let players score points after our Wednesday Showdown events. Everyone who participates will earn Forza Points on the global leaderboard which will be found on the ForzaRC Web site. Those leaderboard standings and point totals will be updated after every Booster Rivals event, giving all players across all regions a look at where they stand in the competition. As always you can learn about all the details of the 2018 competitive season by heading to the Web site, which also includes detailed rules and regulations. One detail you might have caught during the show was news that the next update for Forza Motorsport 7 will include a new Telemetry map in Spectate mode. This enhanced map will give viewers a detailed look at the action on the track. Look for more details on this feature in the coming weeks. This Telemetry map is just one of the improvements coming to Forza 7 in the near future, and is another example for our commitment to making Forza Motorsport 7 the best place to both watch and play online racing. We’re just over one week away from the next big beat on the ForzaRC calendar – the 2018 Pre-Season Invitational! On March 24, starting at 10 a.m. Pacific, nineteen of the world’s best driver’s will converge in nearby Seattle at our brand new purpose-built studio for the first big ForzaRC event of the year. We’ve got a fantastic show planned for you, with familiar faces, special guests, and some new formats designed to get the competitors out of their comfort zone. For the first time in any ForzaRC event we’re introducing team play to competition. 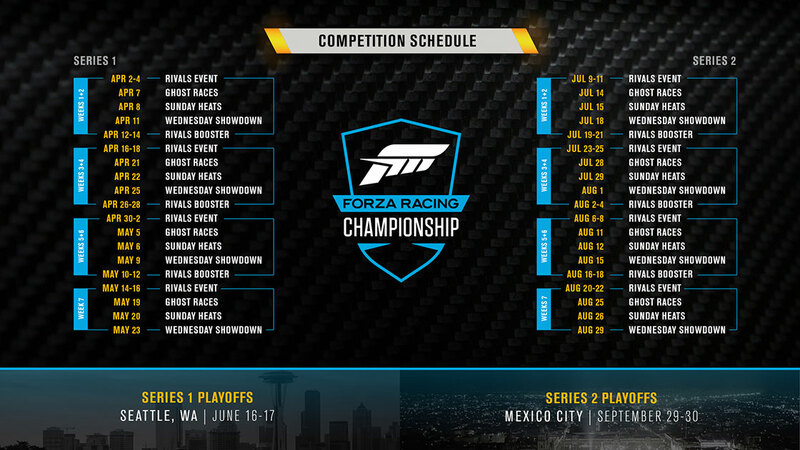 ForzaRC team play will be unlike anything Forza fans have seen before, with four three-driver teams. Unlike traditional motorsports, where every team driver is piloting the same car, our teams will have three cars to choose from and each car can only be used once in a race. 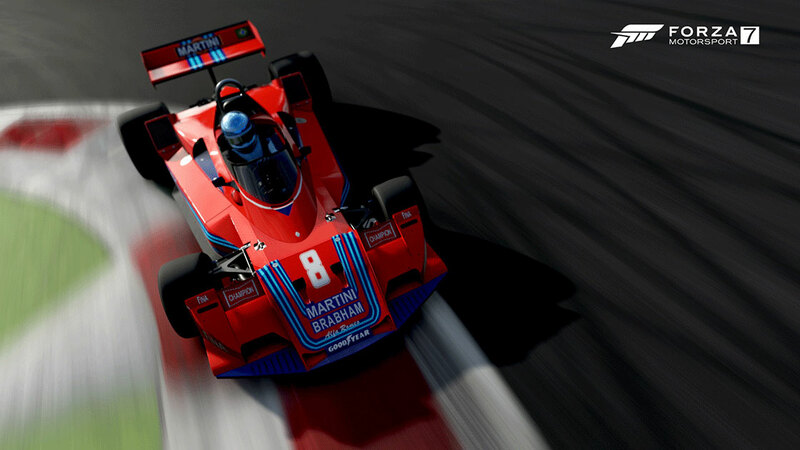 With drivers of different strengths and weaknesses, different performance characteristics of each car, and of course different qualifying positions, team racing at the Invitational will be equal parts skill and strategy. I can’t wait to see it unfold live. 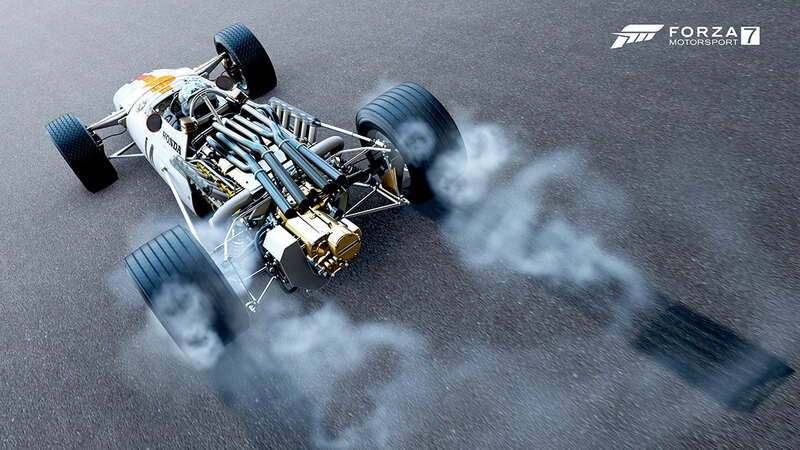 In addition to the racing action, viewers will have some direct influence into the events of the day – voting on weather conditions and even choosing the car and track for certain races. We’ll also have tons of in-game goodies to give away for viewers. 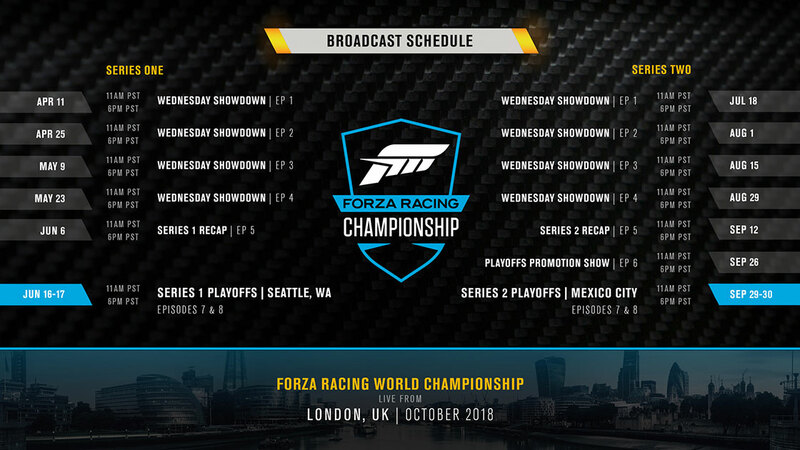 Don’t miss all the action at http://watch.forzarc.com to see all of the action unfold live beginning at 10 a.m. Pacific on Saturday, March 24. See you there! 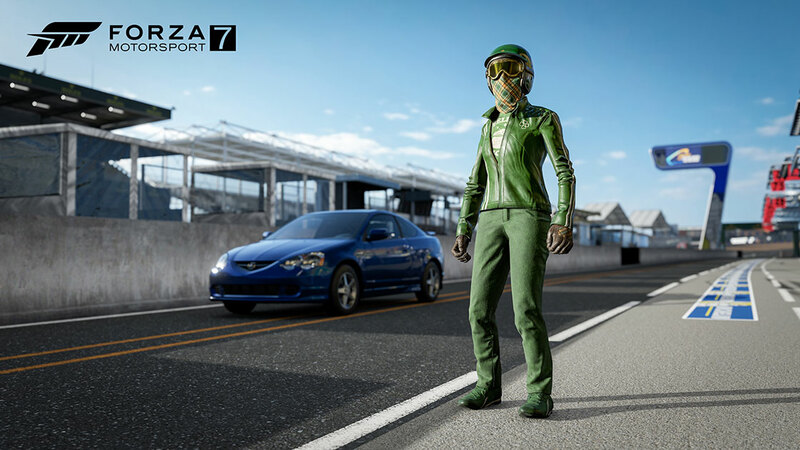 You’ve played Bounty Hunters in the past but you’ve never played one like this in Forza. Our latest Bounty Hunter challenge – which, in honor of the #ForzaRC, we’ve renamed the #ForzaRC Ladder Challenge – is up and running now. The twist this time around? You’ve got not one but FIVE moving targets to chase this month. That’s right, five Turn 10 employees have volunteered to be the Bounty this month: including Jon Knoles (GT: JONK1969) and Elliott Lyons (GT: RBW Triton) from the Turn 10 design team, Jennifer Lane (GT: ShmooGnu) and Garrett Huxtable (GT: Gr1malian) from the Engagement team, and Yours Truly (GT: Mechberg). The #ForzaRC Ladder challenge is currently live and can be found in the #ForzaRC channel of Rivals Mode. All five of our Bounty Targets will be setting their initial times on the leaderboard during today’s episode of #ForzaFriday. Don’t miss the show live, beginning at 3 p.m. where we’ll be chatting with each of our guests, getting their predictions on how they’ll match up to the community, and setting their initial laps (no pressure!) Watch the show live on the official Forza channel on Mixer to get in on all the fun. 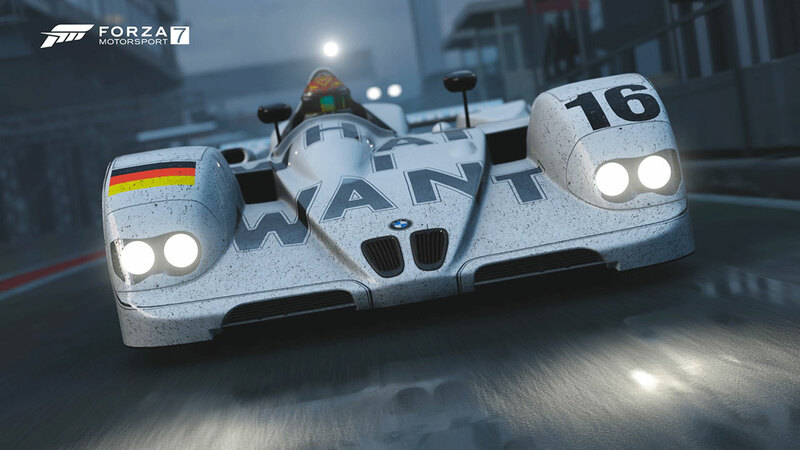 Thanks to all the Forza community members who voted in this week’s Community Rivals poll. 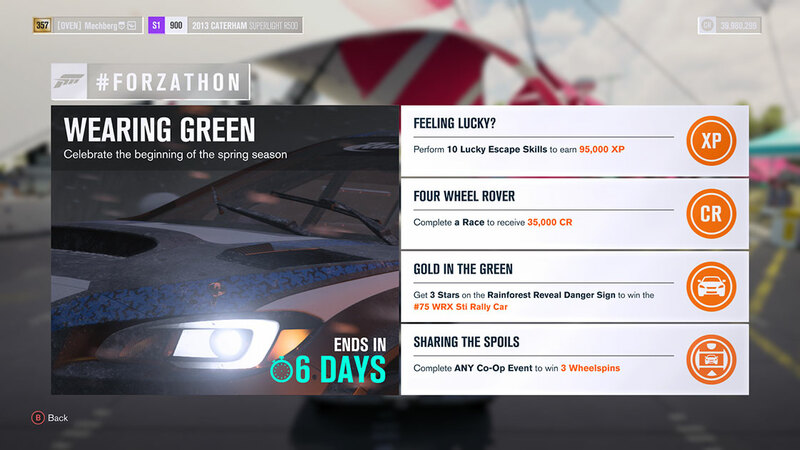 The result is an awesome Rivals event featuring the 2010 Pagani Zonda R on Brands Hatch Full, which is now available under the “Featured Events” channel of Rivals Mode. Another poll arrives on Monday, so be sure and follow us on Twitter to let your voice be heard! That’s it for this edition of the Week in Review. See you next week!